Designed to fit clubs up to 460cc thanks to a special sock-like design, the Longridge Longneck Wood headcover set offers a navy fur long-knitted structure to ensure solid overall protection for the head as well as the shaft. The material is of the highest quality, and the set comes with interchangeable number to ensure effortless and fast wood identification. The set consists of three separate soft covers. for submitting product information about Longridge Longneck Wood Headcovers Set We aim to answer all questions within 2-3 days. 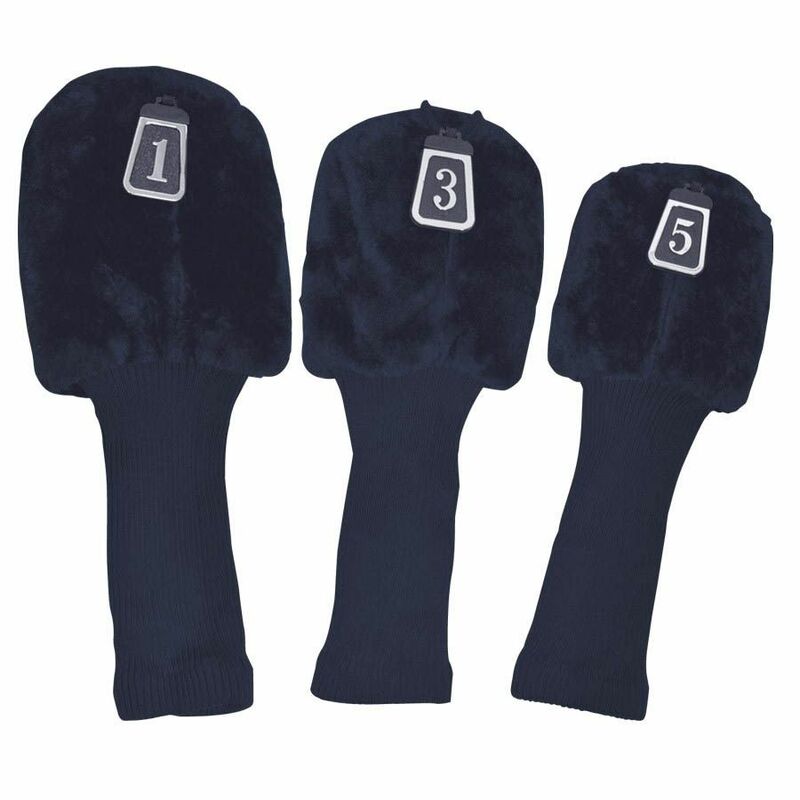 for submitting product information about Longridge Longneck Wood Headcovers Set. We aim to answer all questions within 2-3 days. If you provided your name and email address, we will email you as soon as the answer is published. for submitting product review about Longridge Longneck Wood Headcovers Set.